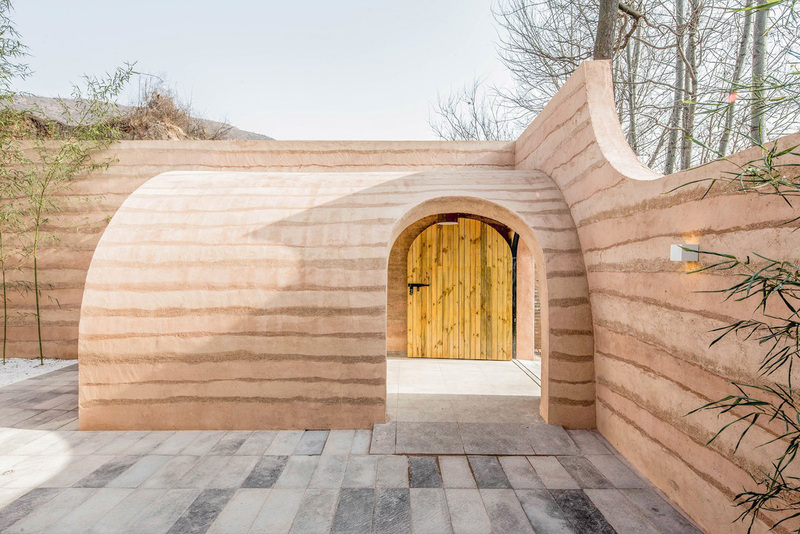 A traditional cave dwelling in China’s Shaanxi region had fallen into severe disrepair before a reality show decided to completely revamp it for their client, a local internet star, turning the cave into a chic and modern home fit for a king, or at least for today’s equivalent: a social media influencer. 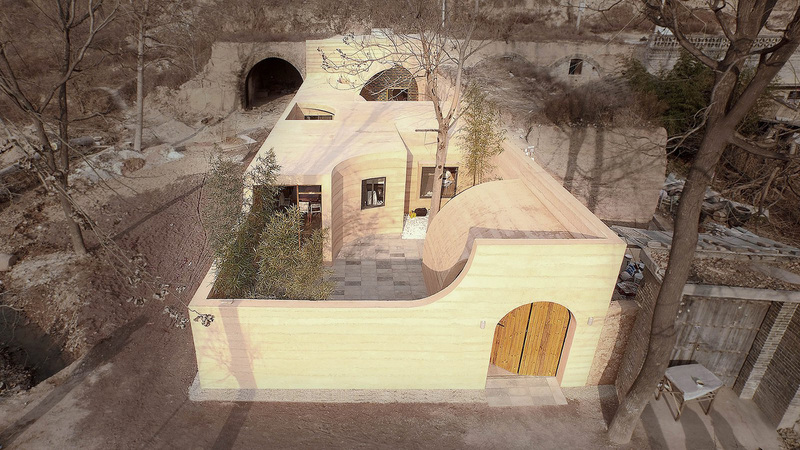 Beijing–based architecture firm hyperSity had their work cut out for them in trying to preserve the original structure, which was uninhabitable and nearly collapsing. 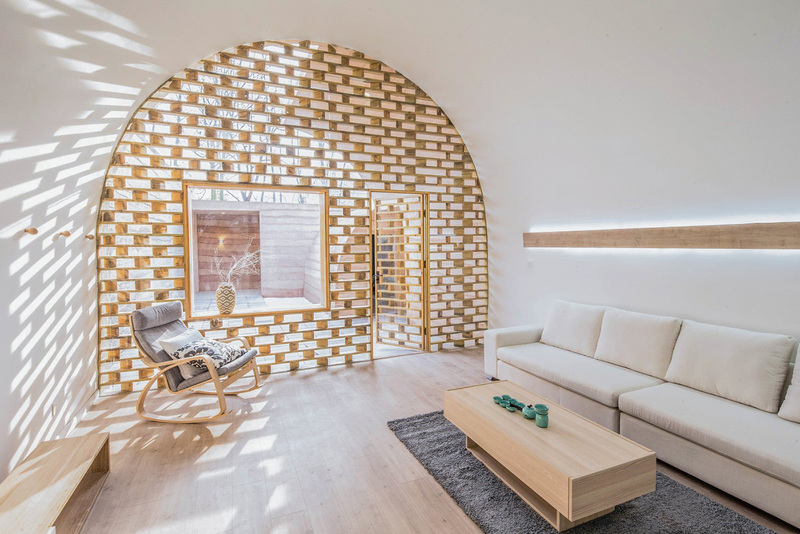 The site originally consisted of a large barrel-vaulted cave in the back and a front courtyard which contained a cluster of three smaller properties. 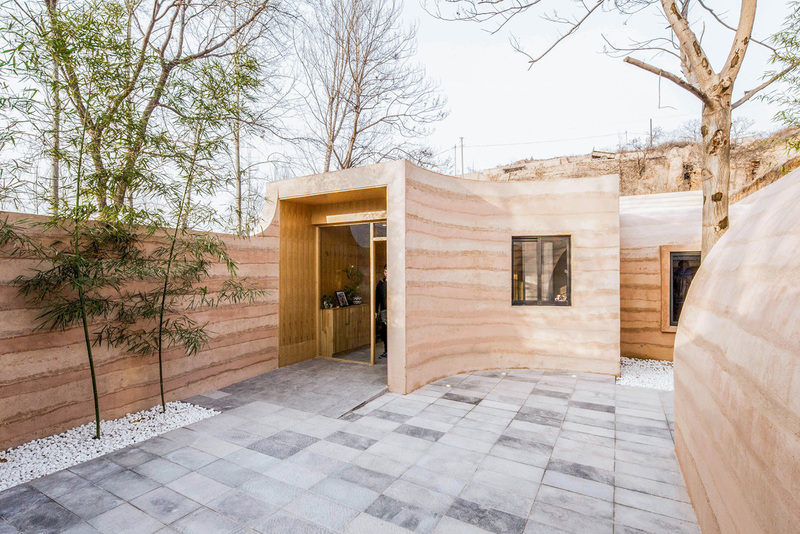 Plans show that to start the transformation, the architects decided to keep the cave portion but demolish the original courtyard structure entirely, replacing it with multiple customizable volumes designed to create a tranquil and traditional ambience. They’d also need to rebuild the perimeter wall for both structural support as well as privacy. 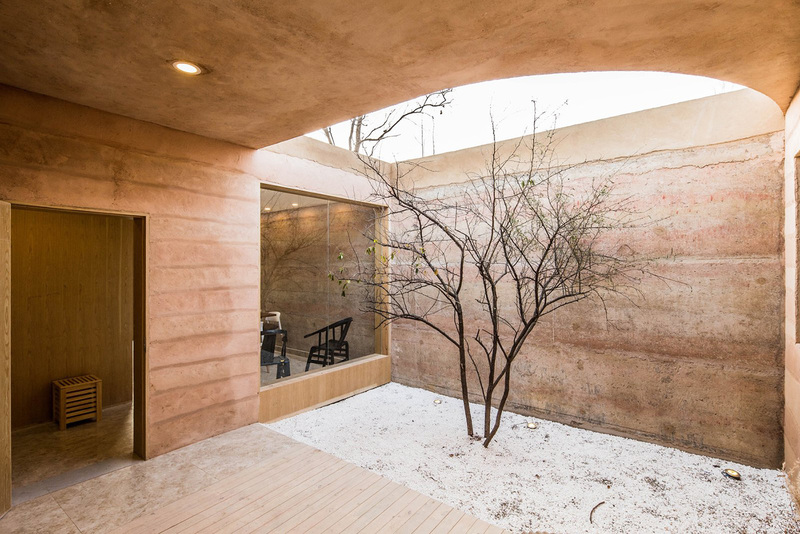 Rammed-earth construction would be used throughout to reflect local customs. The finished product resulted in five new living spaces now inhabiting the courtyard, such as a kitchen, dining room, bathroom, and a few bedrooms. 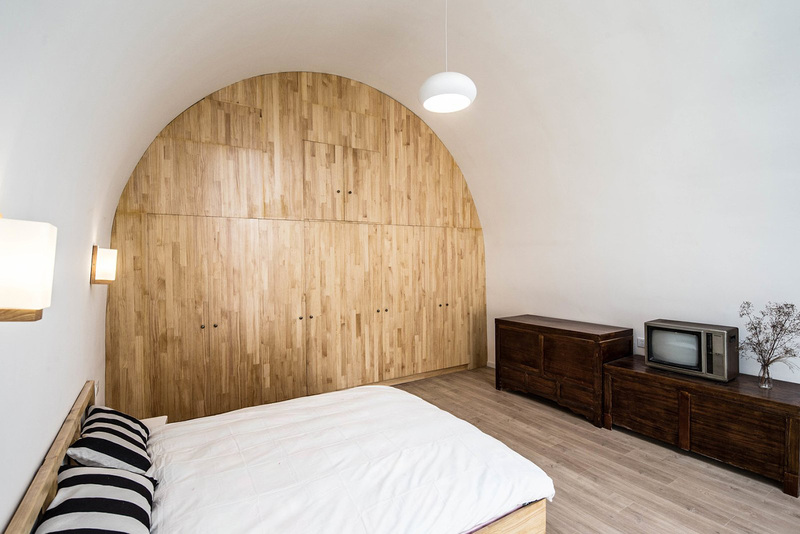 The vaulted cave section was preserved as a separate living space, divided into a bedroom and living room, and renovated to be well-ventilated, bright and airy, with an extraordinary skylight feature. 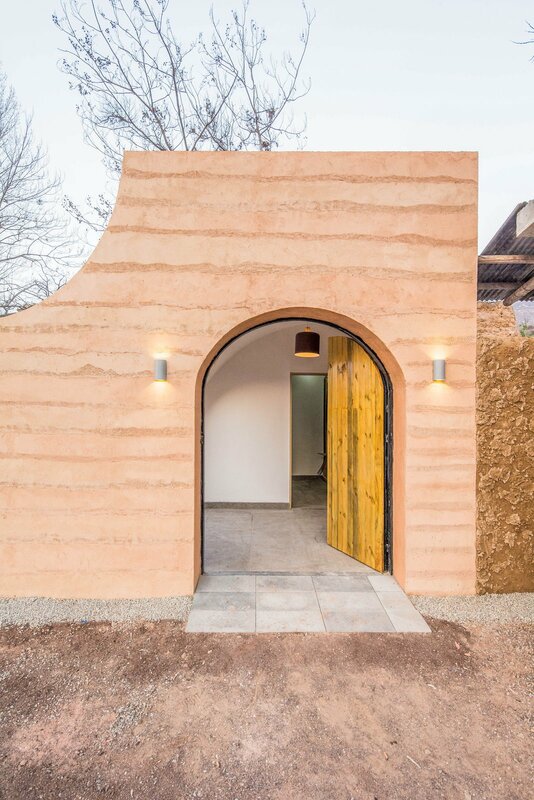 Sand and clay sourced from the neighboring mountains helped to keep costs down and assist in keeping the home’s temperature regulated during the changing seasons. 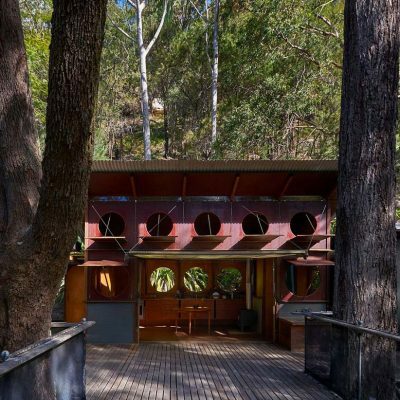 The exterior courtyard and entrance to the main cave. 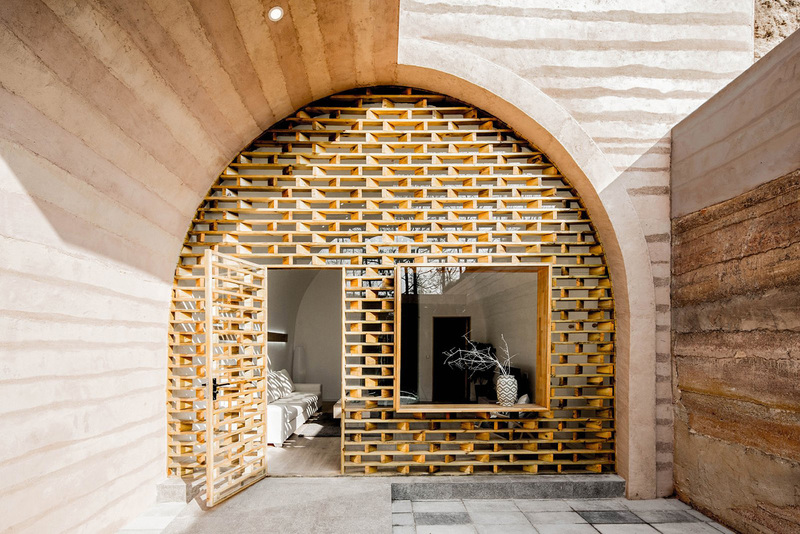 The main entrance of the cave is a wooden grid façade with a glass curtain wall. The timber screen allows natural light to enter while still maintaining a sense of privacy. 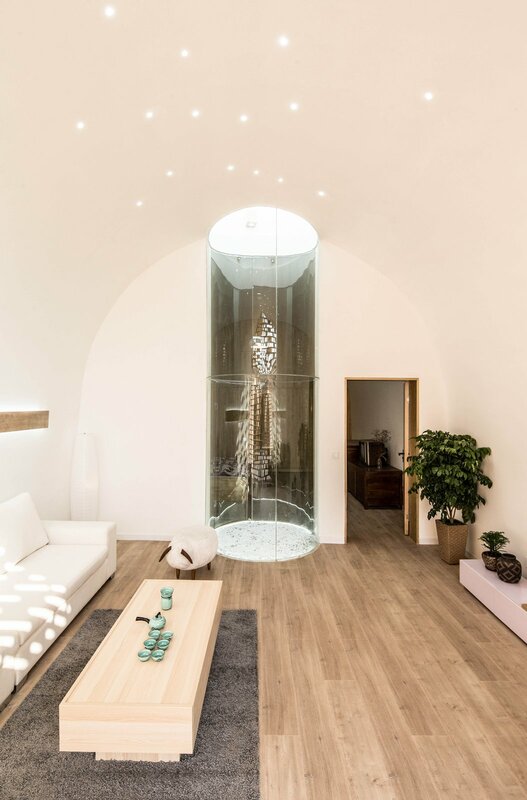 A circular glass skylight was implemented in the middle of the cave to form a light-filled tunnel. 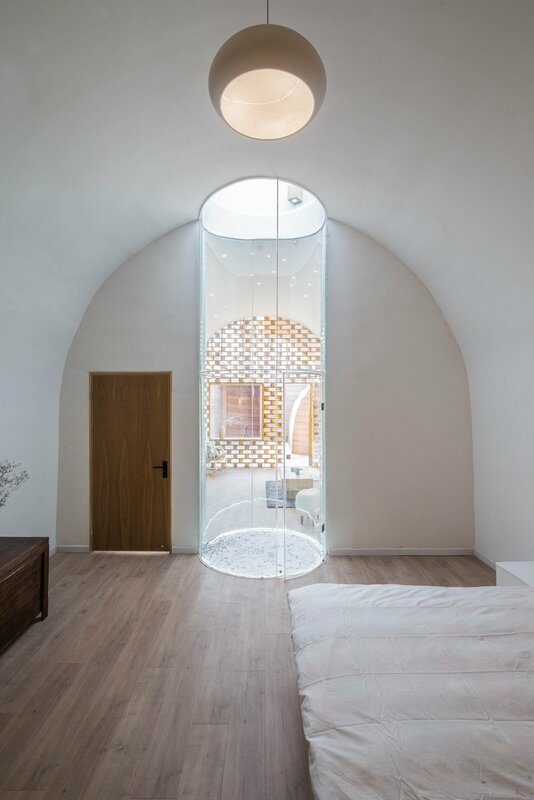 Through the light tunnel, there’s a bedroom for the client’s grandmother. 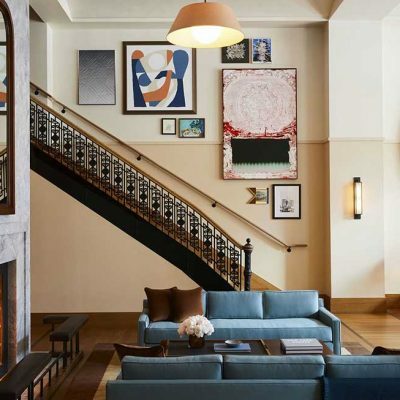 Traditional furniture helps connect the house with the past. We were initially drawn to the cave portion, but found ourselves just as enamored with what was done in the courtyard. 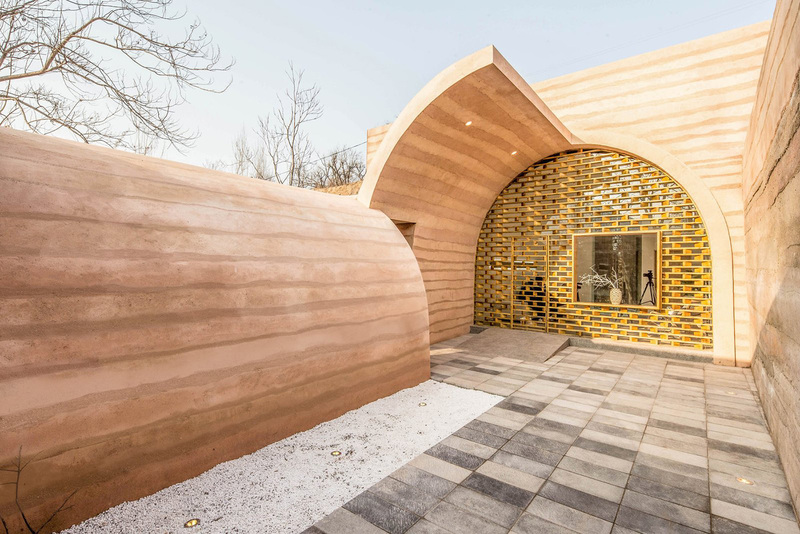 In the end, this was the most significant transformation, with the construction of five separate volumes and five open-air courtyards connected via a zigzag path designed to channel the intimate serenity you’d find in a traditional Chinese garden. The front entrance of the property. A side view of the front entrance from inside the home. 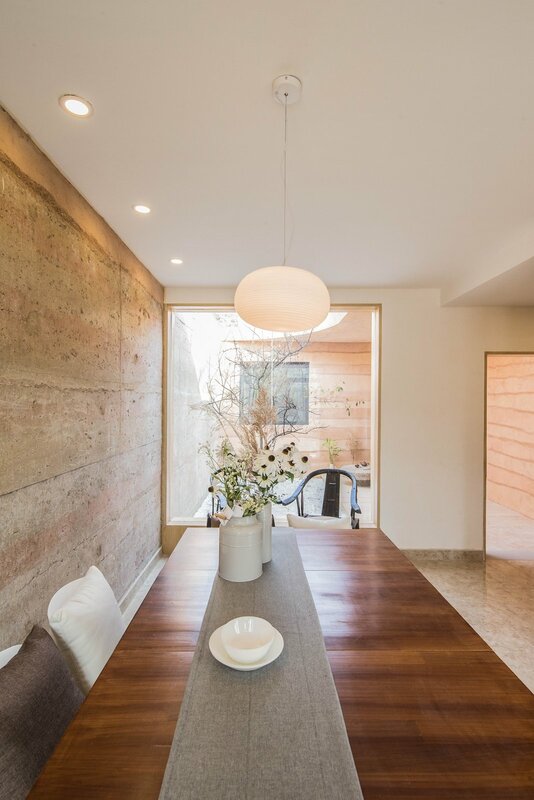 Thanks to the separate volumes and courtyards, natural light gets into all of the residence’s spaces. 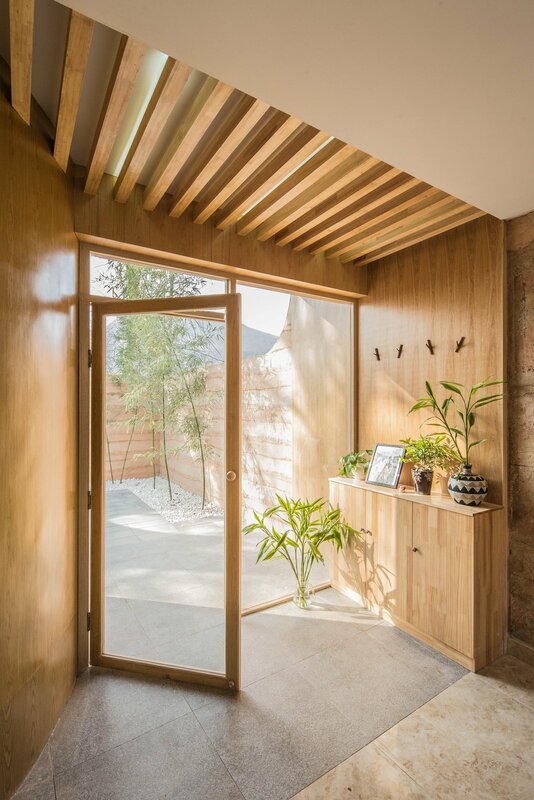 Smaller courtyards connect the southern-facing volumes of the home. 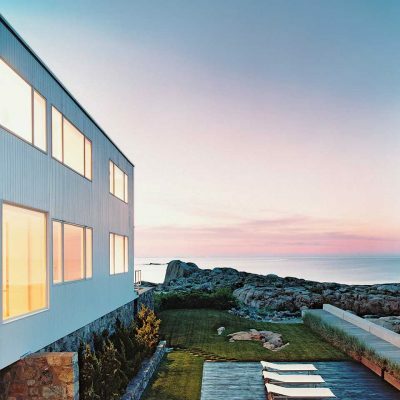 Floor-to-ceiling glass doors and windows keep the interiors bright and airy. Here’s a look at the new dining area. An overview from the front shows the property in its entirety. 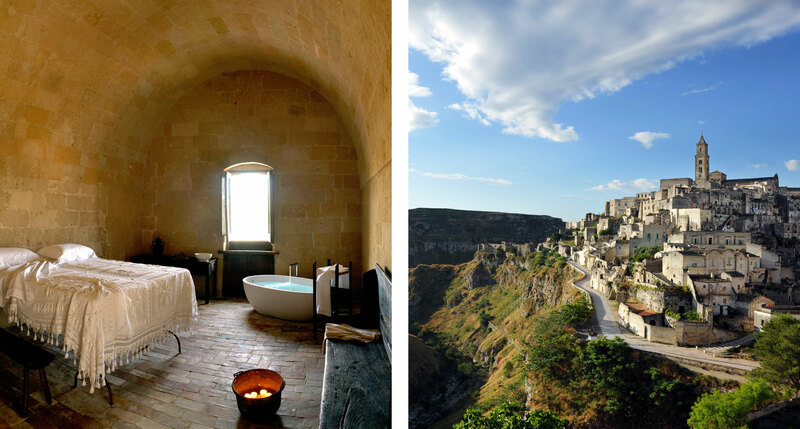 Matera, Italy is famous for houses carved into the volcanic hillsides, and while most hoteliers would put their lodging in a nearby town and provide excursions to the caves, Sextantio Le Grotte della Civita is an experience of total immersion. 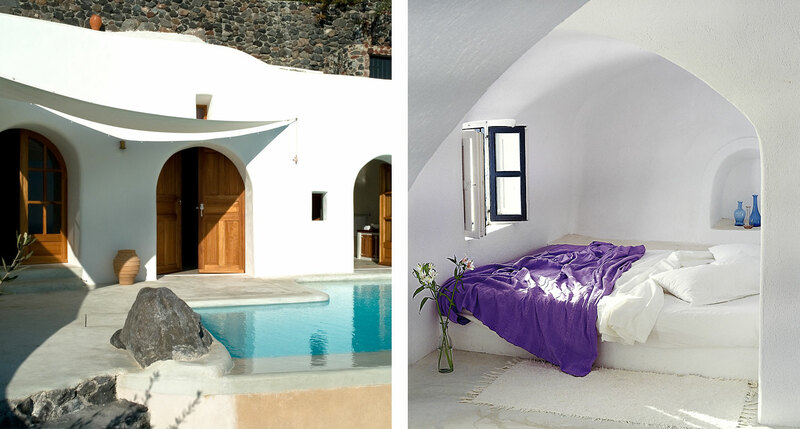 The hotel rooms occupy the caves themselves, and while they aren’t frilly, they are luxurious. As if to prove the point, the bare rock cavern that houses your bathroom is adorned with the nicest bathtub money can buy. 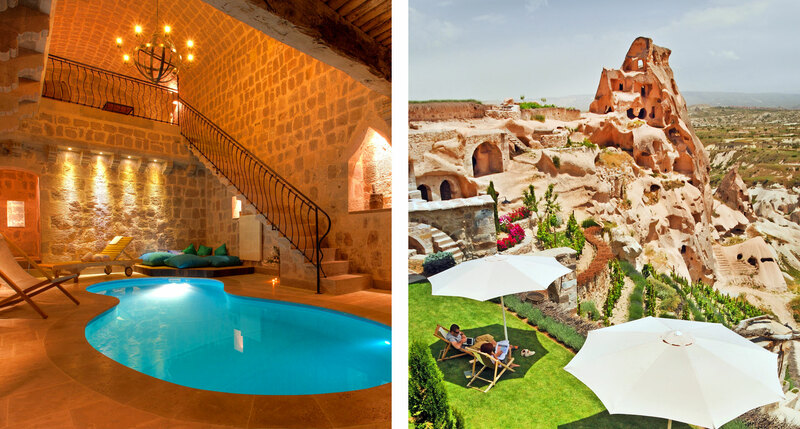 The undisputed cave hotel capital of the world, the Cappadocia region of Turkey is full of these natural stone lodgings. In Argos in Cappadocia, you have a repurposed monastery on top of a series of underground tunnels and large subterranean rooms, some of which now serve as restaurant, wine cellar, and concert hall. And though not every room is subterranean, all of them are made from massive, rough-hewn stone blocks. 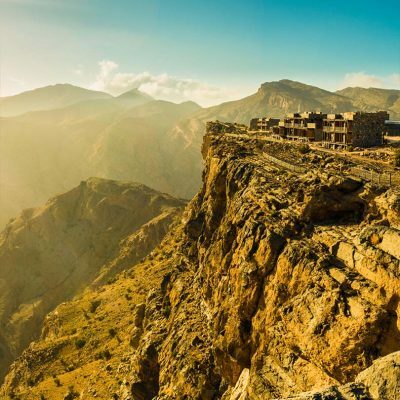 You can also safely assume that there will be views of the unimaginable rock formations if you make it to the top of the natural rock citadel. 300 years of history has turned caves that once served as stables into a gorgeous boutique hotel, the Perivolas Traditional Houses. The caves, fashioned into 17 individual cliffside houses, are set among terrace gardens that gaze out over the blue Aegean Sea. Nor are the caves dark and dank, but bright and peaceful with whitewashed stone walls, vaulted ceilings, romantic nooks, and arched doorways. 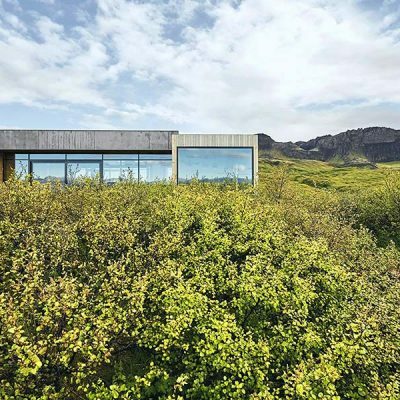 The minimalist interiors are a perfect contrast with the alluring surroundings.